Codeship – A Continuous Integration Platform in the cloud that fits your needs. 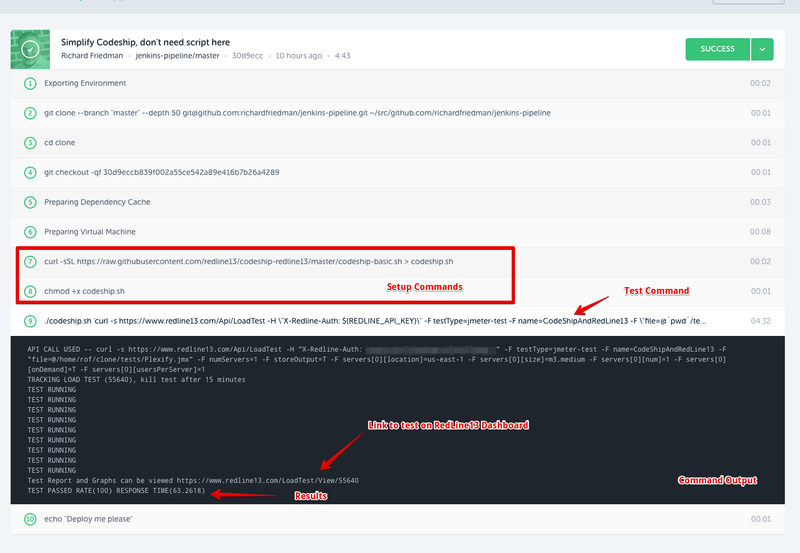 Codeship + Redline13 – makes load testing easy and (almost) free. Codeship provides Basic and Pro. When looking at the easy and quick nature of building software with Codeship it just made sense to put together a Codeship integration. Redline13 already has the API and examples to do this. 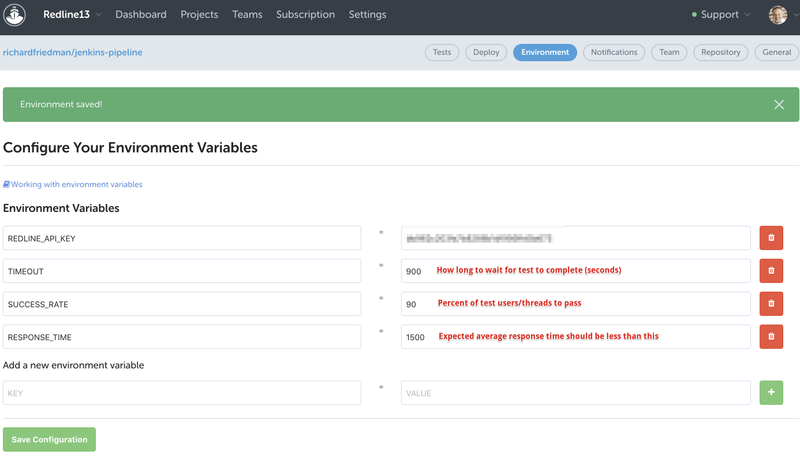 With this Codeship integration, you have the tools for your Codeship build to kick off a Redline13 load test (of any scale), wait for results, and report back if your test is considered a success or failure. 1 – In your Codeship environment you can add the following variables. You can execute this script many ways, this demo shows using script and custom command. The curl command you pass in can be customized to run any supported load test with your own configuration of cloud load agents. ## Execute Script and pass in CURL command to run test. Select the CI system you would like to export to. You can see results and progress on the test running.